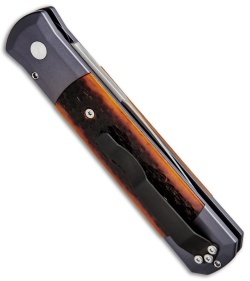 This Godfather automatic features a gray aluminum frame with Amber Jig Bone inlays, front and back. 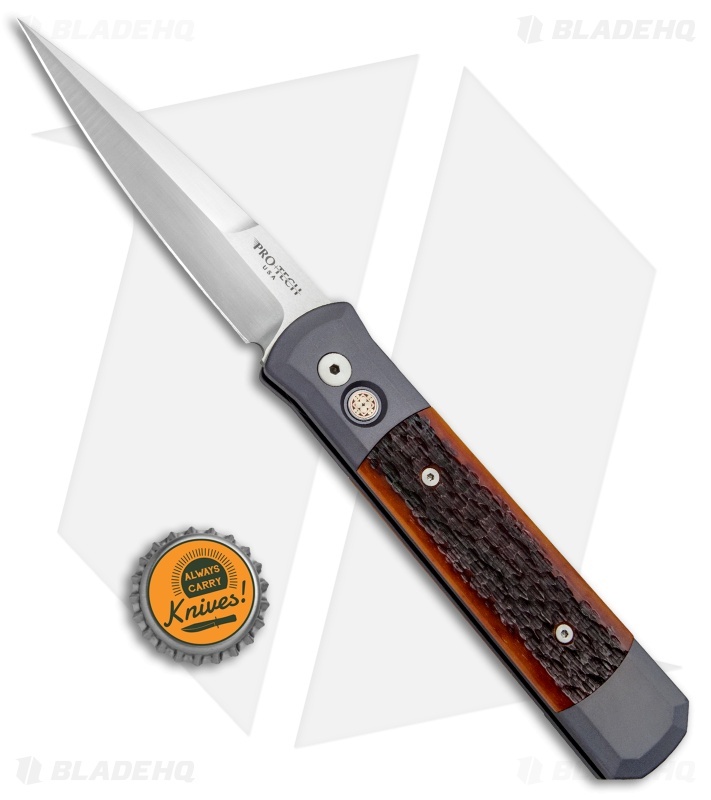 The handle is outfitted with a mosaic firing button and a tip-up pocket clip. It has a satin finished blade made from 154-CM stainless steel.